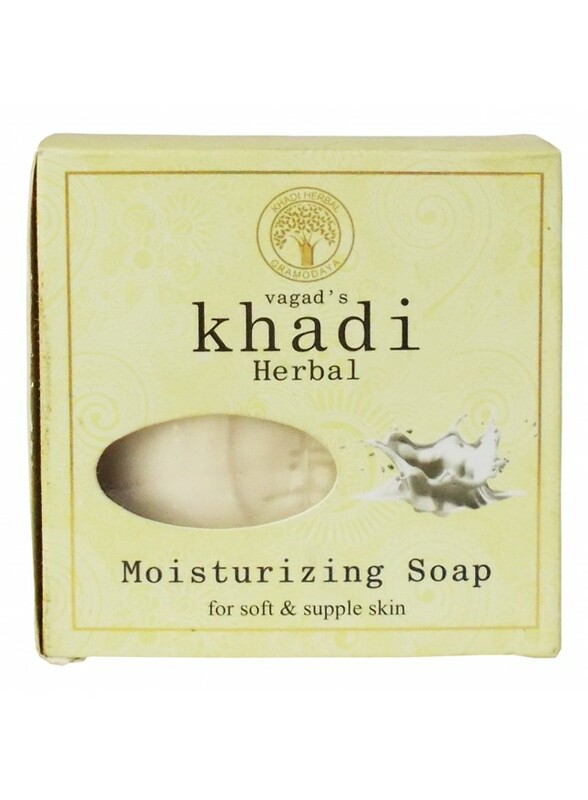 Vagad's Khadi Moisturizing Soap is highly effective in cleansing the pores in such a way that the acne, whiteheads, and blackheads are all scrubbed off without leaving any marks or side effects. This Soap also helpful for provides complete and balanced nourishment to the skin. 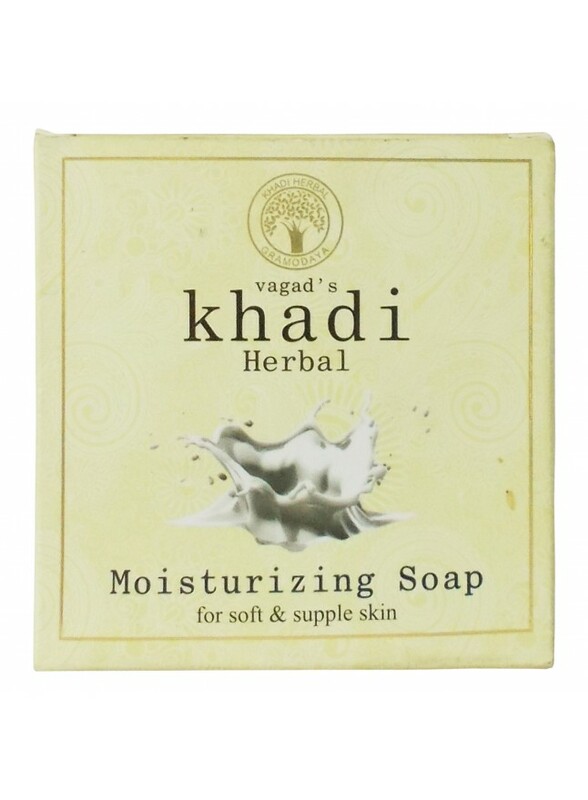 Ingredients: Aloe vera ext., Cucumber ext., Goat Milk Powder, Shea butter, Wheatgerm Oil, Honey, Coconut Oil, and Glycerine.